Need new rugs for powder room. Like the design. I purchased this item to go along with the floral shower curtain that was on sale too. The product seems like a good buy for a reasonable price. Very good value for a bathroom and they have a cheerful look . Looked like quality items. I won't really know though until my order is received. It matches my shower curtain and I loved the price. Will not slide on floor. Wanted to change my bathrom to lavender and rose this year! Nice 3 piece set and so reasonable when on sale. Hold up well and I usually buy a couple sets so I always have one down when other set in the wash. 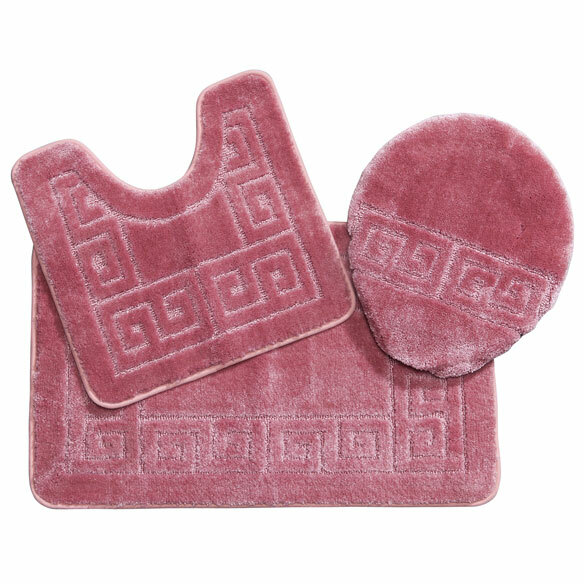 I the bath mats are so plush and the value for the cost. Needed for awhile, waiting for a good price. Good sale price and to spruce up my bathroom. Nice buy for my daughter's new house. buying new things for my bathroom and this color looks pretty. You had the color I needed. 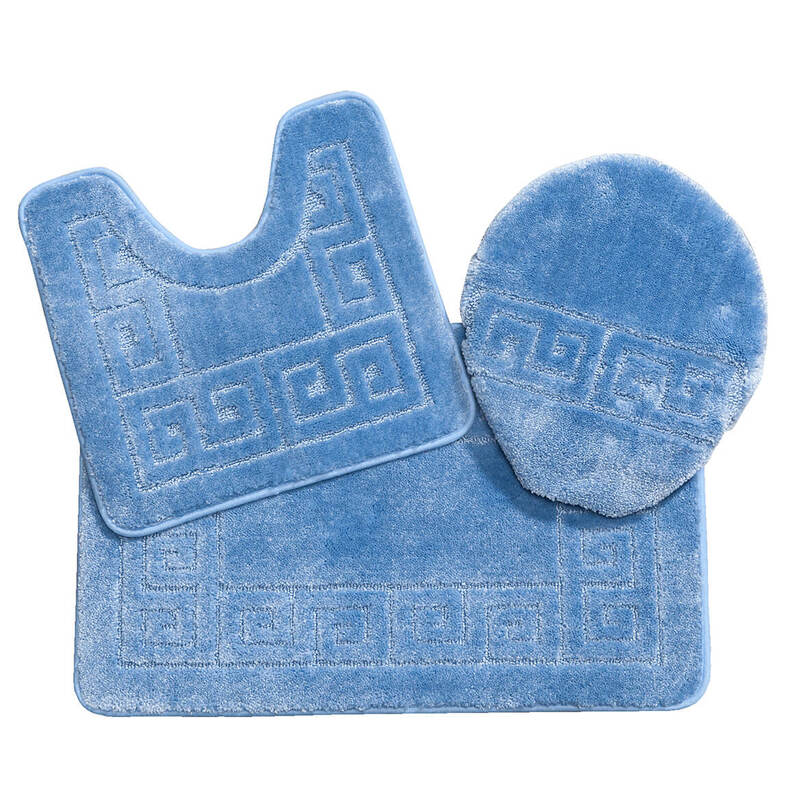 I never ordered this set before, however it appears to be good quality and will add a touch of class in the bath. 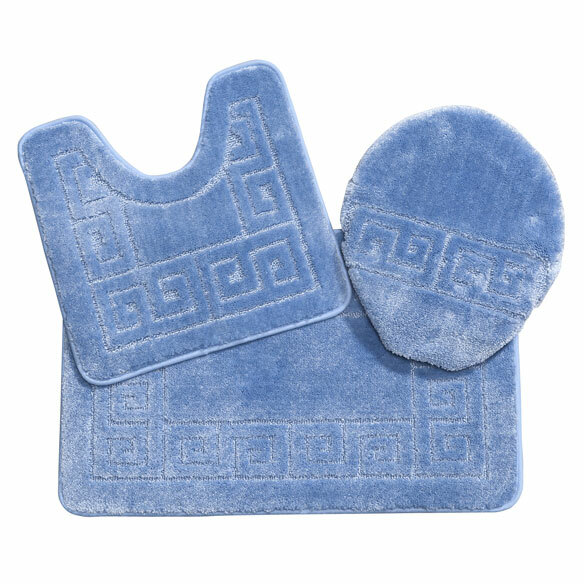 Will the toilet seat cover fit on elongated lids? BEST ANSWER: Thank you for your question. This will only fit standard toilets. We hope this information will be of help to you. Do you have Bathroom sets n a dark colors ? BEST ANSWER: Thank you for your question. The 5 piece set comes in burgundy, that is the darkest color we sell. We hope this information will be of help to you.